Lemon and rosemary infused quinoa stuffed peppers | Jo's food bites. Cut the peppers in half and deseed. Roast for about 10 minutes and then stuff with the quinoa mixture and put back in the oven to roast until the peppers are cooked. 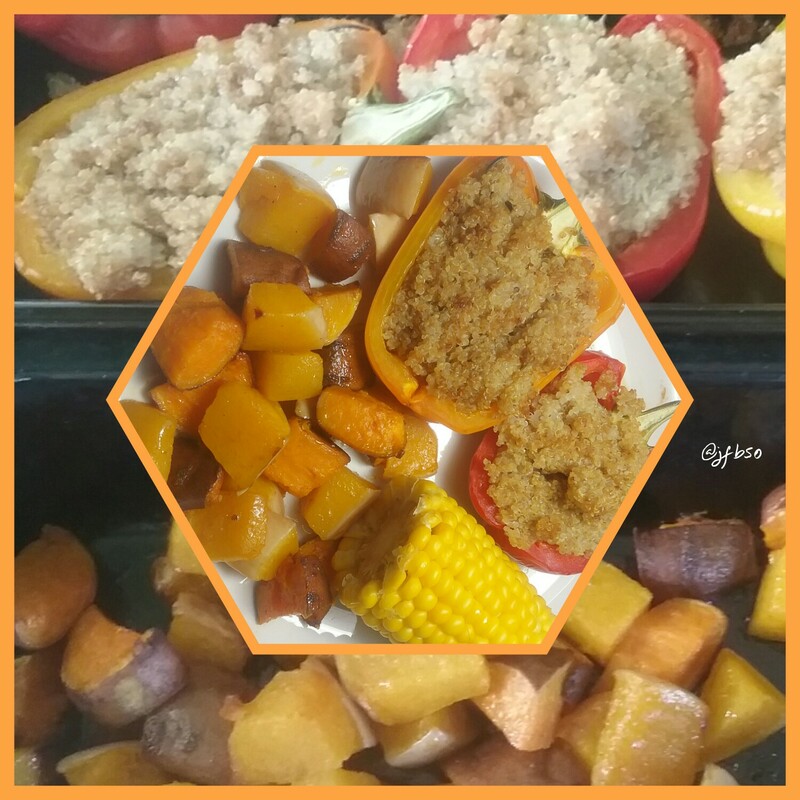 I served this dish with cayenne and olive oil roasted sweet potato and butternut squash chunks (neither peeled) and a chunk of corn on the cob.